When a small business commences operations, the budget is a constraint. Hence, the most logical choice for starting up a small business is a Web Hosting plan. It is easier on the pocket and offers most services required to effectively manage and run a website. As the business grows, you find yourself in a spot where it is time to upgrade. Usually, small business owners look at all the premium options available to them and try to find the best fit. In this article, we will look at some reasons behind Cloud Hosting being preferred by small business (SMB) owners over dedicated hosting plans. We will look at how Cloud Hosting is a better option for SMBs as compared to Dedicated Hosting plans in these three aspects. Once the teething years of the business are behind them, SMB owners look for hosting plans that can grow with their business in terms of resources and capacity. They look for scalability and flexibility with minimal downtime, if any. In Dedicated Hosting plans, since they rent a physical server, the resources are finite. This means that as the business grows, the site owners will have to invest a lot to upgrade the server to buy additional resources. Also, these upgrades can take time. Moreover, they are the costliest option available since adding resources by renting more physical servers is expensive. 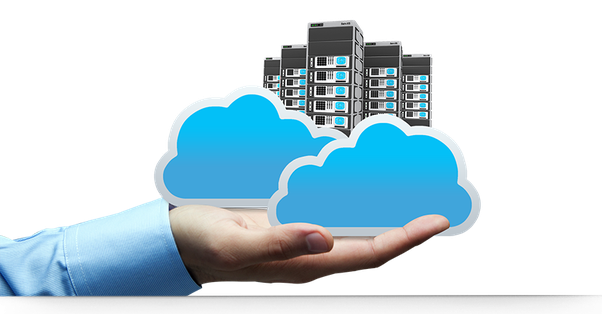 In Cloud Hosting, since the website is placed on a virtual server, adding additional resources is much simpler. All they need to do is click for adding resources and same is made available to them with minimal delay. Also, the costs are much lower than those incurred in Dedicated Hosting plans. While purchasing a Dedicated Hosting plan, you are required to estimate the resources that you might need until you are ready to invest more in upgrading the server. This means that if today you have 500 visitors on your website and you expect it grow to around 10,000 in a year’s time, then you need to get a server that can handle 10,000 visitors. This also means that till such time that your site does not experience heavy traffic, your investment is lying idle. In Cloud Hosting, you can start with the resources needed to effectively run your website immediately. Since scalability is easy, you can always increase the resources as your business grows. Hence, you spend only when it is necessary, making Cloud Hosting cost effective. In Dedicated Hosting, you rely on a single piece of hardware or spend double and get a backup hardware for exigencies. In cloud, since the website is hosted on multiple servers, there is no single point of failure making it more secure. A good Cloud Hosting provider offers a wide range of benefits apart from the ones mentioned above. For small businesses, Cloud Hosting is a perfect choice since they can increase the resources and underlying costs as the business grows. Also, they don’t have to worry about the infrastructure or security since most providers ensure that they deploy the best infrastructure and use the latest security tools to keep their data safe and always available to their customers.